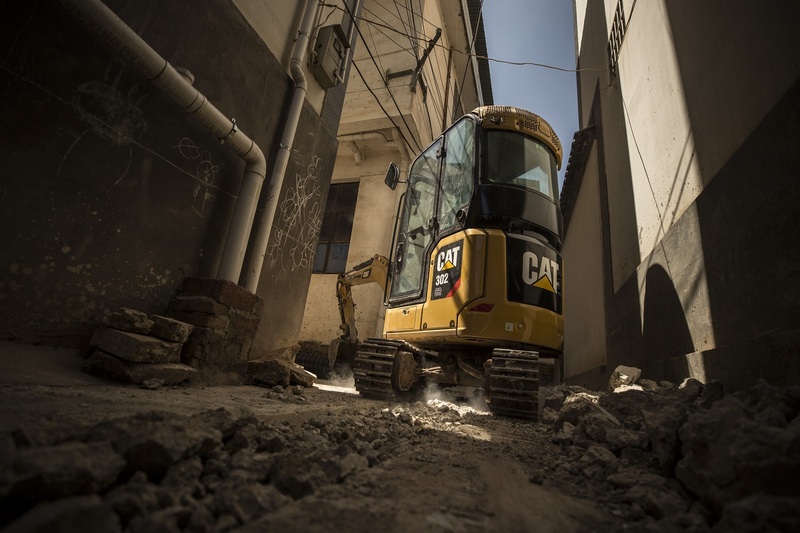 The Cat® 320 excavator brings premium performance with simple-to-use technologies like Cat GRADE with 2D, Grade Assist, and Payload — all standard equipment from the factory to boost your operator efficiencies up to 45%. Combine these features with a new cab, longer maintenance intervals that lower your maintenance costs up to 15%, and a power system that reduces fuel consumption by up to 25% and you have a low-cost-per-unit-of-production excavator that’s perfect for medium- to heavy-duty applications. Match the excavator to the job using power modes including new Smart mode that automatically matches engine and hydraulic power to your digging conditions. Don’t let the temperature stop you from working. 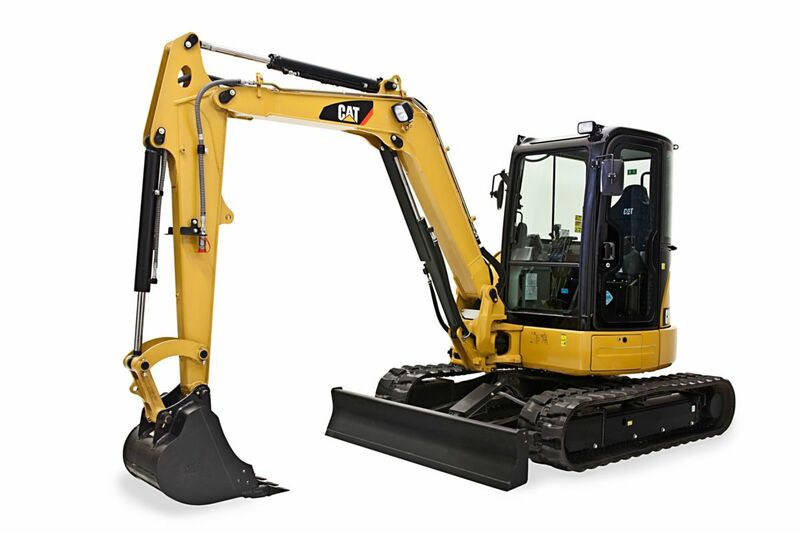 The excavator has a standard high ambient temperature capability of 52º C (125º F) and cold start capability of -18º C (0º F). An optional -32º C (-25º F) cold start package is available. Stay on grade — simply and effortlessly — with single-lever digging. Keep your tracks on the ground in lifting and hard digging with Boom Assist. Create and edit designs with ease and see the front linkage’s full range of motion on a second high-resolution 10 in (254 mm) touchscreen monitor. Know the excavator’s exact position relative to GPS and GLONASS systems. Cab options let you choose the level of comfort you need. Enjoy wide spacing between consoles for a more spacious comfortable environment. Sit in new, wide seats that adjust for operators of all sizes (heated and heated/cooled options are available). Get in and out of the cab easier using the tip-up left console (in Deluxe and Premium cabs only). Control the excavator comfortably with easy-to-reach controls located in front of you. Standard automatic climate control keeps you at the right temperature throughout your shift. Improved viscous mounts reduce cab vibration by up to 50% over our previous excavator models. Stow your gear with plenty of in-cab storage behind the seat, overhead, and in the consoles. A cup holder, document holder, bottle holder, and coat hook are included. The standard radio has USB ports and Bluetooth® technology enabled to connect your device and make hands-free calls. Protect hydraulic components in cold weather. The auto warm-up feature speeds hydraulic oil warming in cooler temperatures. The fuel system is protected from contamination of fuel by three levels of filtration. Bottom guarding protects engine and hydraulic components from damage while swinging and traveling. The hydraulic tank with a new oval shape designed to improve stress resistance. 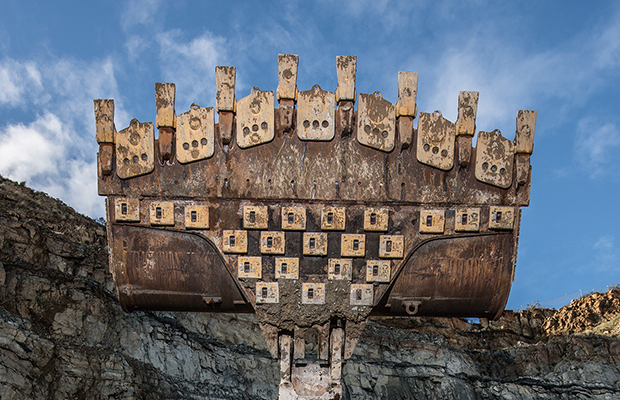 The strong X-structure lower frame carries loads from the excavator’s upper structure to the track. Travel motor hydraulic lines are routed inside of the frame to protect them from damage. The sloped track frame design prevents mud and debris from accumulating and damaging tracks. The grease lubricated tracks have grease sealed between the pin and bushing to prevent debris from entering and reducing life. The track rollers are rebuild-able and sealed to prevent dirt and debris causing wear of internal components. A bolt-on track guiding guard helps maintain track alignment while traveling or working on slopes. You can navigate quickly on the standard, high-resolution 8 in (203 mm) touchscreen monitor or with the optional 10 in (254 m) touchscreen monitor or with the aid of the jog dial control. A second 10 in (254 mm) monitor is available for the advanced grade control. Easy keyless push-to-start engine using your Bluetooth key fob, or your smartphone to enable the pushbutton start feature. Match the excavator’s operation to your digging style by adjusting the joystick response and programming the function of each joystick button. 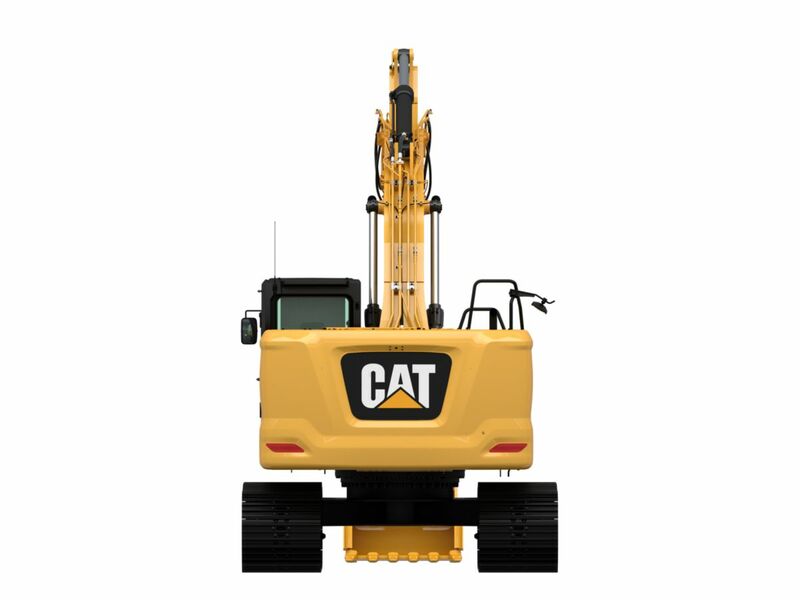 Not sure how a function works or how to maintain the excavator? Always have the operator’s manual at your fingertips in the touchscreen monitor.. Easily use the monitor to change the joystick pattern from the cab. You can choose two-way or four-way patterns options. Store your pattern preference and let the machine automatically set the pattern when you log in with your unique Operator ID. Reversing electric cooling fans make it easy to clean radiator, oil coolers, and condensers. An all-new engine air cleaner with integrated pre-cleaner has twice the life of radial seal air cleaners. - 50% longer than previous filter designs. Track your excavator’s filter life and maintenance intervals can via the in-cab monitor. Check engine oil level quickly and safely with the new engine oil dip stick located on ground level. 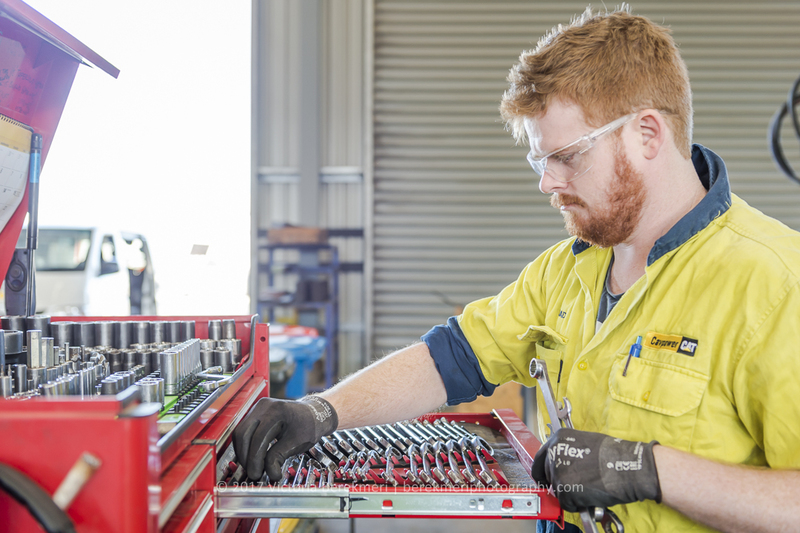 S·O·S℠ ports with extended sampling intervals are on ground level, simplifying maintenance and allows for quick easy extraction of samples for fluid analysis. - no need for you to climb on top of excavator. Meets U.S. EPA Tier 4 Final and EU Stage IV emission standards. Recommended for use up to 4500 m altitude (14,760 ft) with engine power derate above 3000 m (9,840 ft). High-resolution 8 in (203 mm) LCD touchscreen monitor + additional monitor (Only for use with Cat Grade with advanced 2D or Cat Grade with 3D). High resolution 10 in (254 mm) LCD touch screen monitor (Only for use with 360° visibility). High resolution 10 in (254 mm) LCD touch screen monitor + additional monitor (Only for use with 360° visibility and Cat Grade with advanced 2D or Cat Grade with 3D). Note: Not all features available in all regions. Consult your Cat dealer for specific configurations available in your region.